invite you to inquire into the nature of reality and discover the ability to create new ones! It will be fun! May cause mind altering experiences. Opens May 31st at Studio C – 6448 Santa Monica Blvd., Hollywood, CA 90038. An interdimensional traveler/Psychonaut/Mystic/Clown is here now to spread the Good News of the Multiverse, to open hearts and expand minds through interdimensional travel demonstration and practicum. To fulfill on her mission, she’s hosting a variety show interspersed with lessons from her travels through the multiverse. Part of the Hollywood Fringe Festival 2018 – Come let our Psychedelic Circus Blow Your Mind! 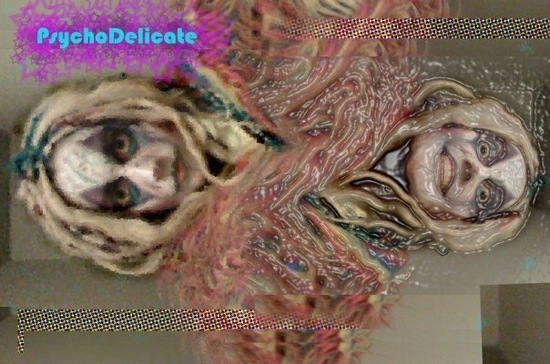 Psychodelicate, an interdimensional traveler/Psychonaut/Mystic/Clown is Here Now to spread the Good News of the Multiverse, opening hearts and expanding minds through interdimensional travel demonstration and practicum. To fulfill on her mission, she’s hosting a variety show, interspersed with lessons from her travels through the multiverse. We will invite you to inquire into the nature of reality and discover the ability to create new ones! It will be fun! May cause mind altering experiences. Glowing flow toys, Hula Hooping, juggling, Fractal Heckeling (electric sheep a fractal art screen saver), comedy, clowning, Quantum Physics Theories explored, Metaphysics, Storytelling, Geometry, Philosophy, Ontology, Existential Detecting, Hermeticism, Mindfulness, Breathwork, sound bath. Magical Circus, World class performers.